Chris Jericho is bringing his cruise event back for a second time. Chris Jericho is bringing his cruise event back for a second time. With such success that the first venture did, Jericho thought it was a great idea to do it again. On Monday afternoon, the former WWE Champion made the news official in a post on his Instagram account where he noted that the Chris Jericho’s Rock ‘N’ Wrestling Rager at Sea: Part Deux would take place from Jan 20-24, 2020 from Miami to the Bahamas. It was also announced that the newly launched promotion, AEW (All Elite Wrestling) as well as his rock band Fozzy would be featured on the cruise. 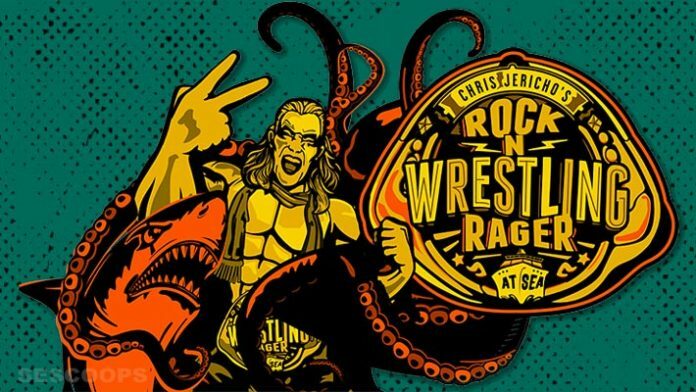 Chris Jericho’s ( @iamjericho ) Rock ‘N’ Wrestling Rager at Sea: Part Deux has partnered with #AEW @AEWrestling to bring back the greatest wrestling tournament to ever sail. The first cruise went down at the end of October 2018 and received high praise from those who took part in it. This cruise set sail out of Miami and featured a number of wrestlers from Impact Wrestling, Ring of Honor, and New Japan Pro Wrestling as well musicians, and comedians over the course of a few days. There was a ring on top of the deck where the ROH Sea of Honor tournament took place, which featured the big match that saw Alpha Club (Young Bucks and Jericho) vs. Bullet Club (Cody Rhodes, Kenny Omega, and Marty Scurll), which was later streamed on FITE. For those fans who missed out on the first cruise, he encouraged them to sign up at his website, chrisjerichocruise.com.